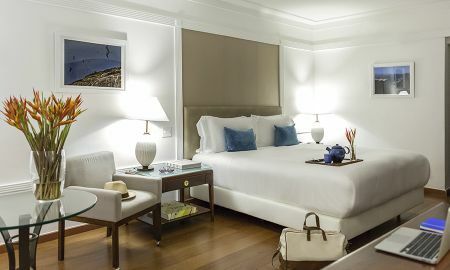 Within a stately building, the Sofitel Rio de Janeiro Ipanema is a 5-star oasis. 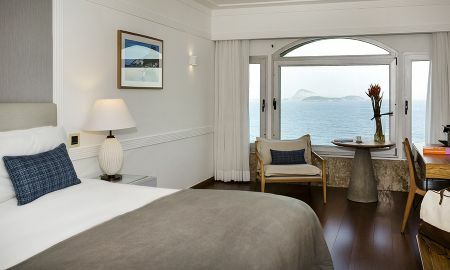 This exclusive establishment brings together the refinement and elegance of a home in Rio; a cosmopolitan atmosphere for the discerning guest, and an extraordinary vacation of hushed repose. 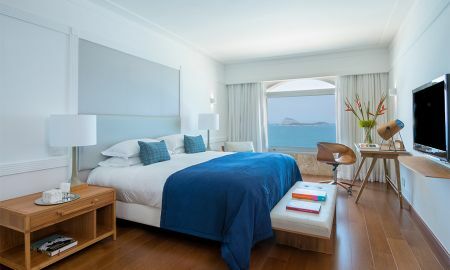 Boasting a heavenly combination of deluxe amenities in each of the 222 rooms and suites, natural light seeps through the modern spaces of minimalist opulence. 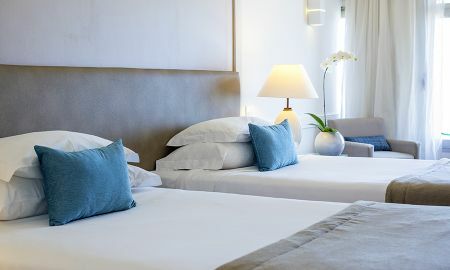 Outfitted with soft plush furnishings amidst warm inviting environments, the tranquil surroundings provide unsurpassed comfort and style for a peaceful night’s sleep. 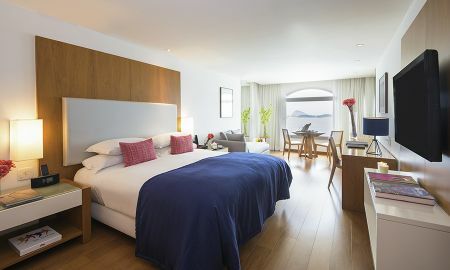 The accommodation overlook the best scenery in Rio de Janeiro including the beaches of Arpoador, Ipanema and Leblon, the stunning Two Brothers mountain and the vibrant city itself. Contemporary cuisine is the hallmark of the Galani restaurant’s chef, whose tantalising creations mix locally sourced ingredients with international culinary trends. Savour traditional fare in the form of the famous Feijoada, and relax in the cosy spaces sipping a classic Caipirinha and delicious snacks. The Lobby Bar offers its visitors the finest array of appetisers and drinks in an ideal setting for a romantic moment or a fun happy hour, whereas 23 Ocean Lounge, the hotel’s pool side snack bar, is located on the 23rd floor. The highest point on the Ipanema-Leblon seafront, kick-back at the swimming pool in relaxed surroundings with panoramic views, enjoying an exclusive drink prepared by the talented staff. The ideal sanctuary for holistic wellbeing, the well-appointed sauna, massage room and outdoor pool provide moments to cool down, detox and rejuvenate. Maintain a daily workout routine using the varied exercise equipment in the fitness centre whilst overlooking inspiring sea views, or for the adventure seekers, activities include jet skiing, pedal boats and boat excursions. 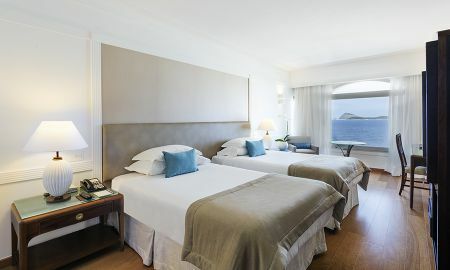 Sofitel Rio de Janeiro Ipanema is positioned in a desirable district with stunning views of one of Rio de Janeiro's most famous hotspots, the Ipanema Beach. This sophisticated neighbourhood is close to Copacabana beach where the traditional New Year's Eve fireworks display takes place. Galeão International Airport is located 25 km from the property.